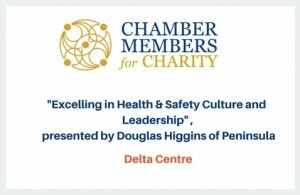 A new series of lunchtime seminars Chamber Members for Charity has been launched by County Carlow Chamber, whereby participants are invited to attend seminars covering a range of topics while enjoying a light lunch. 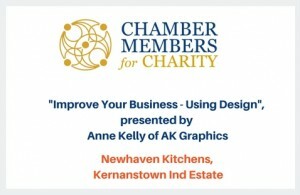 All seminars are free to attend and are hosted and delivered by members of the Chamber. 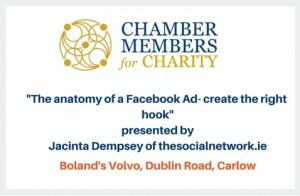 Participants are requested to make a donation on arrival, with 100% of the funds collected being donated to the selected event charity which is Carlow Special Olympics. 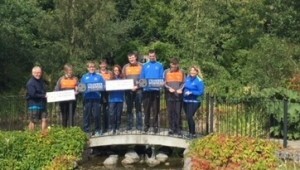 The Carlow Special Olympics Club was formed in 2005 with less than 20 athlete members and today caters for over 80 in a variety of sports including Bowling, Basketball, Athletics, Swimming and Soccer. 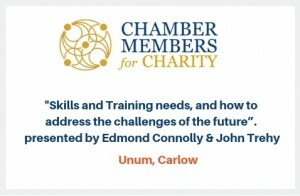 The event series opens on the 5th September where Edmond Connolly and John Trehy will discuss “Skills and Training needs, and how to address the challenges of the future” at a seminar hosted by Unum. 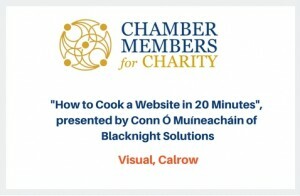 The following days seminar, delivered by Conn Ó Muíneacháin of Blacknight Solutions will include a live demonstration of how to develop a website from scratch in 20 minutes. 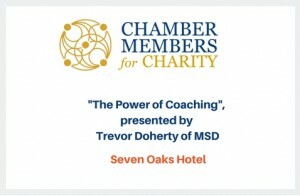 The topics covered over the series will include Design, Heath & Safety, Public Relations, Coaching and much more. 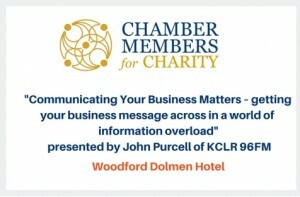 Full details of all the seminars and how to RSVP attendance are at carlowchamber.com.